Is Afghanistan another Vietnam, a quagmire that the United States should escape as soon as possible? Or is it a crucial war than can and must be won? The daily news is sobering, with its continued attacks on NATO troops and a resurgent Taliban. 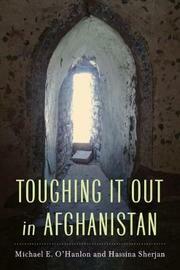 In Toughing It Out in Afghanistan, however, Michael O'Hanlon and Hassina Sherjan show that all is not lost-far from it. 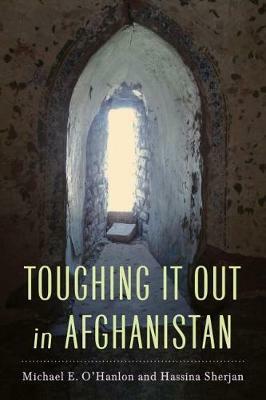 The authors acknowledge current difficulties in Afghanistan but also explicate how the war-torn country can emerge as a stable sovereign nation, free from the yoke of the Taliban and al Qaeda. Michael O'Hanlon is senior fellow and director of research in Foreign Policy Studies at the Brookings Institution, where he holds the Sydney Stein Jr. Chair. He is author of The Science of War and is senior author of the Brookings Afghanistan, Iraq, and Pakistan indexes.Hassina Sherjan is the president of Aid Afghanistan for Education, a nonprofit group that has educated more than 3,000 Afghan girls. She also heads Boumi, a Kabul-based home decor company using Afghan-based cotton. Born in Afghanistan and raised there and in California, Sherjan began returning to her native land during Taliban rule and has lived there since 2001.